Choosing a bathtub is easy, right? Well, not quite. There are lots of options to consider, and here are the best. Firstly, don't rush into buying a new bathtub when you might be able to do something with the one you already have. If it’s looking a little dirty and grim, why not resurface it? Start by cleaning away and grime from the surface, and when you’ve got as much as you can off, sand it down and prepare to paint it. You can buy bath resurfacing kits from companies like Tubby UK. They’re pretty cheap, and they give you everything you need to complete the job. Of course, you can get a professional to do the work for you. But it’s a relatively minor DIY project, so there’s no reason you can’t do it by yourself. Anyone who has sat in a jacuzzi bathtub knows how relaxing it is. They offer something completely different to an ordinary bath. And if you ask me, you just can’t beat them when it comes down to relaxation and luxury. They are a little more pricey than most ordinary baths, but I think it’s worth it. There are also a lot of people who will tell you that sitting in a jacuzzi bath has certain health benefits for your body. The bursts of water that you feel can act as a way of massaging aching muscles. And it’s also thought that it can help your joints and skin as well. The fact that it’s so relaxing has to be the main reason for buying one though! Freestanding baths are probably the most stylish type of bath on the market today. They look great, and they give the bathroom an entirely new spin. There are so many different types out there but focus on the details. 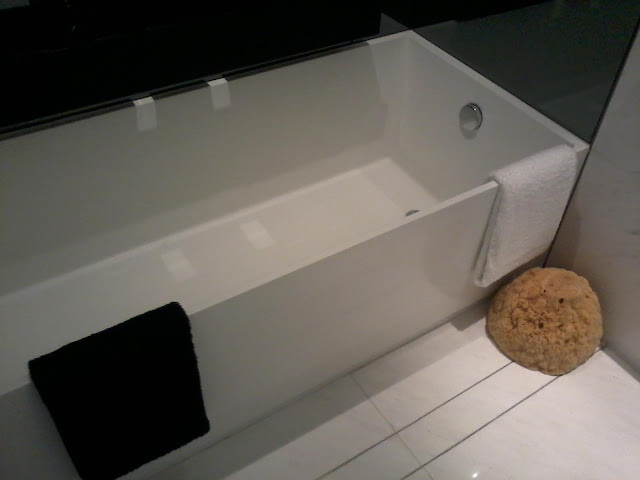 The main thing that distinguishes a freestanding bath from another is its legs. The strange thing about them is that they’re now seen as very modern even though they’re actually very old-fashioned and classic. They offer the room a touch of class and luxury that you simply don’t get from most other types of bathtub, so if you’re going for a classic look, choose a freestanding tub. Corner baths are best for square shaped bathrooms. Not every bathroom will suit the corner bath, especially if it’s quite small and narrow. But if you have quite a lot of floor space and a relatively square-shaped bathrooms. They can be great for people who like to relax because you get plenty of space. But You only get that space if you have the kind of bathroom that lends itself to a corner bath. Don’t be tempted to try and cram one into the room if your room doesn’t suit it. You won’t be using your space effectively, and, ultimately, the bathroom will just look pretty stupid. Each of these options offers you something different, so think carefully before making your decision. A few of our information about the Article Choosing the Right Bathtub for Your Bathroom, Read Now, may be beneficial in the form infirasi to create a beautiful home and comfortable for your family and those you love. No've You've finished reading an article on Article Choosing the Right Bathtub for Your Bathroom, Read Now and many articles about modern home in our blog this, please read it. and url link of this article is https://eyjamasliza.blogspot.com/2017/01/article-choosing-right-bathtub-for-your.html Hopefully discussion articles on could be useful and provide more knowledge for your life and family.